In response to growing demand from advisers looking for fixed income solutions, we have launched a fixed income model portfolio on Macquarie SMA, Praemium SMA and SuperSMA. The portfolio brings together the access and transparency of XTBs with the investment expertise of Ian Martin (Chief Investment Officer). Advisers can now access a managed model portfolio that consists of individual fixed income securities over ASX listed companies. All investments within the SMA are senior unsecured, Investment Grade fixed income. An investment risk profile less than equities and hybrids, and a higher return than ‘cash-like’ investments. The model portfolio will invest in individual investment grade corporate bonds through XTBs on ASX. Liquidity, to ensure investment flexibility. Investment Universe Total universe of XTBs (Exchange Trade Bond units) available on ASX. Investment Strategy To ensure the best opportunity to meet the model portfolio’s objectives, ACBC selects a portfolio of XTBs using a 2-stage quantitative process, with a qualitative overlay. Turnover The objective and nature of the portfolio is to keep turnover to a minimum. Due to the nature of fixed income, there may be XTBs that will mature during the course of a year. Prior to maturity, the manager will select a replacement investment in accordance with the Investment Objectives and Strategy. Brokerage For information about brokerage for trading securities within a portfolio which ordinarily applies, refer to the ‘Transactional and Operational Costs’ in the Praemium SMA Product Disclosure Statement. Ian has over 30 years’ experience in fixed income markets globally. 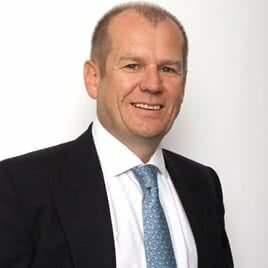 Prior to the formation of ACBC, Ian held the position of Head of Rates Australia and New Zealand for Deutsche Bank Australia. He was a member of the Australian Financial Markets Association (AFMA) Market Governance Committee, a board member of Yieldbroker and a member of Deutsche Bank’s Global Rates Executive Committee. Ian advised major banks, insurance companies and superannuation funds on the construction and implementation of their fixed income portfolios to meet their Asset and Liability needs.